FYI - This review is based on a digital (PDF) version of the book which prevents me from commenting on any of it's physical qualities. More and more retro game oriented books are coming to market! As I look at the shelves at my local Barnes and Noble the offerings are quite good. And they're about to get even better with the release of Coleco - The Official Book by Antoine Clerc-Renaud and Jean-François Dupuis! As a fan of video game history, this book it terrific! It is chronologically laid out with a nice balance of images that compliment the details on each page. Some books, of this sort, rely heavily on images that often dominate the pages. This book delivers informative text with relevant imagery. As a student, I was never fond of history, but as a gamer I try to soak up all the info I can find. 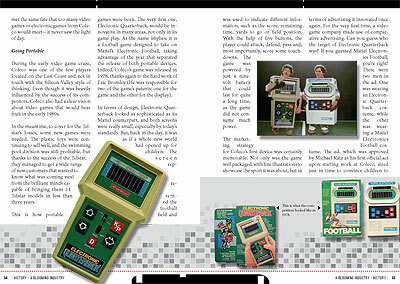 Coleco - The Official Book is fun to read. As a gamer, I'm most interested in the ColecoVision segment of Coleco, but the things leading up to their electronic games is fascinating and adds a rich backdrop to the whole history. Due out in August 2016, you can find more info on the BooQC Publishing Website. From a leather supply company, learn how the humble Connecticut Leather Company become the tentacular Coleco Industries and conquered the toys and electronic games business. Long ago, when I discovered Coleco was an acronym for Connecticut Leather Company, my eyes lit up. I realized that this company I'd admired was so much more than just video games. I vividly remember the Cabbage Patch Doll craze, but never knew Coleco was behind it. book had opened me up to so many facets and revelations about Coleco I never knew about. 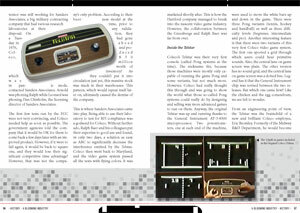 Coleco - The Official Book is full of information from the early days through modern times. The writing is wonderfully crafted and keeps an even, factual tone throughout. This consistency makes it fun to read as the story unfolds without unnecessary quips. It's a professional tone befitting a history book. But this one is really fun to read! 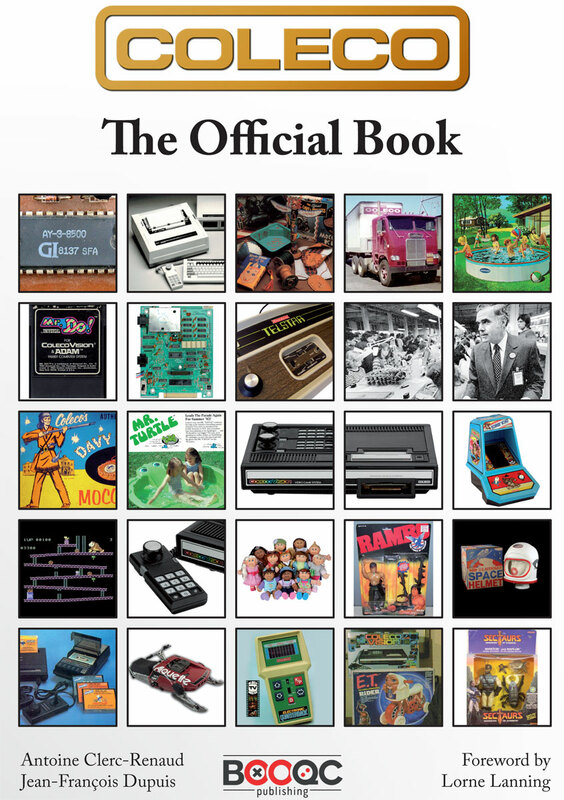 As the history of Coleco unfolds, the later part of Coleco - The Official Book features interviews with former Coleco employees. This takes the book into a first-person voice as told via Q&A from illustrators, engineers, game designers, and animators. If you know of Coleco's rich history, you'll still find many interesting aspects you may not have known. If you're like me and admired Coleco games while playing Atari or Intellivision, Antoine Clerc-Renaud has created a great resource of information you'll enjoy learning about. My only complaint would be the lack of an index. As I enjoyed reading the book, it is as much a resource for Coleco history as it is an engaging tale. There's a lot of detail I'd like to refer back to later. An index of topics would have been a welcome addition for those looking to use it as a reference book. I grew up as an Atari kid. My first game console was an Atari 2600 that I purchased in an appliance store when I was 12. I adored the arcade ports of the games I loved in local arcades - even the bad ones. We recommend giving this book a close look. If you love video games and toys, Coleco had a fascinating involvement and lasting impression deserving of a book like this. We hope you'll enjoy it as much as we did! provides a detailed and interesting view of a company renown for video games, but with a hand in a vast array of products. Whether ou know a lot about Coleco or admired it from afar while playing Atari, this is a great resource of the company's entire history. There's something for everyone in this tome!